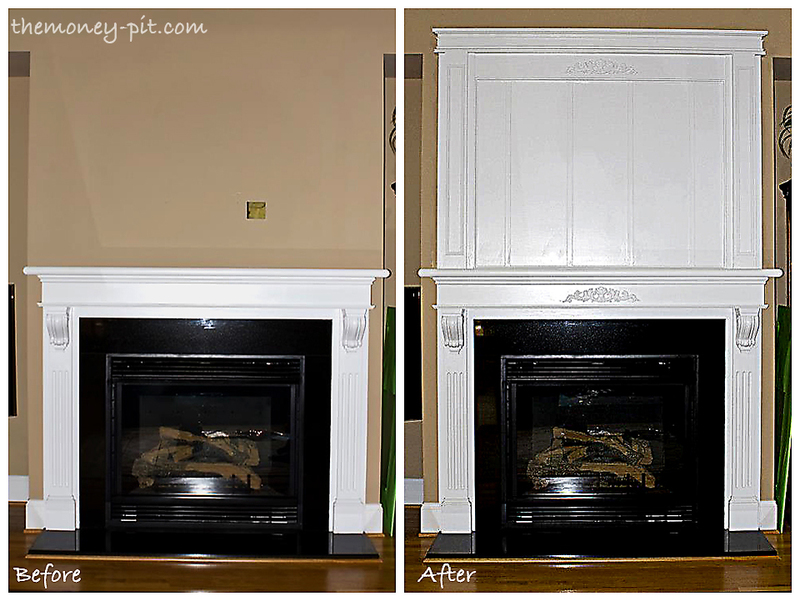 I have to share this great mantle upgrade a friend of mine recently completed. I just LOVE how it came out. Kit recently bought a new house and has been plugging away on a ton of great house projects (a girl after my own heart) but this so far has been my favorite! 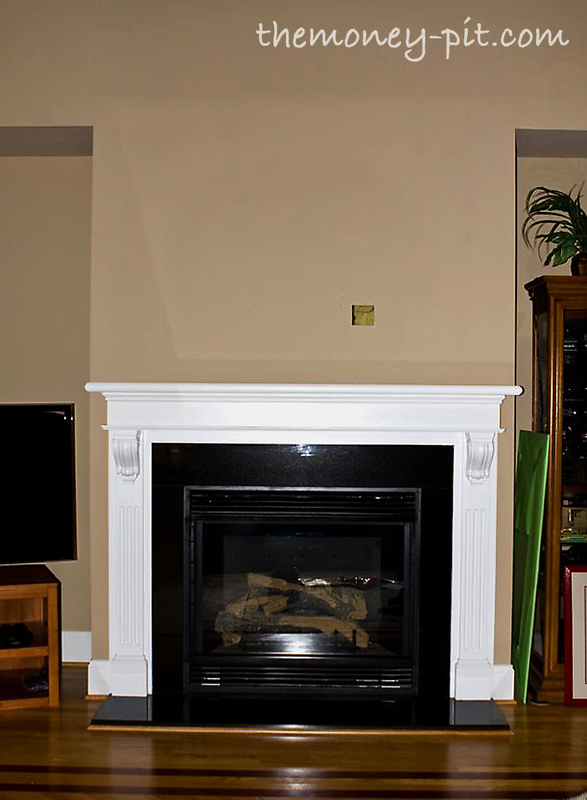 The previous owners must have hung their TV over the mantle, and so she was left with a nice hole in the drywall and a whole lot of open space. 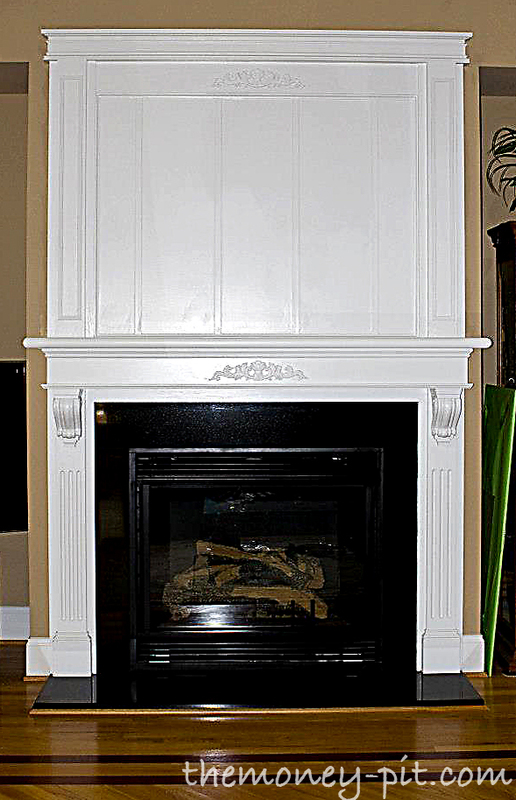 Because the trim didn't match exactly she was able to unify the old with the new by adding the small detail of matching decorative trims. 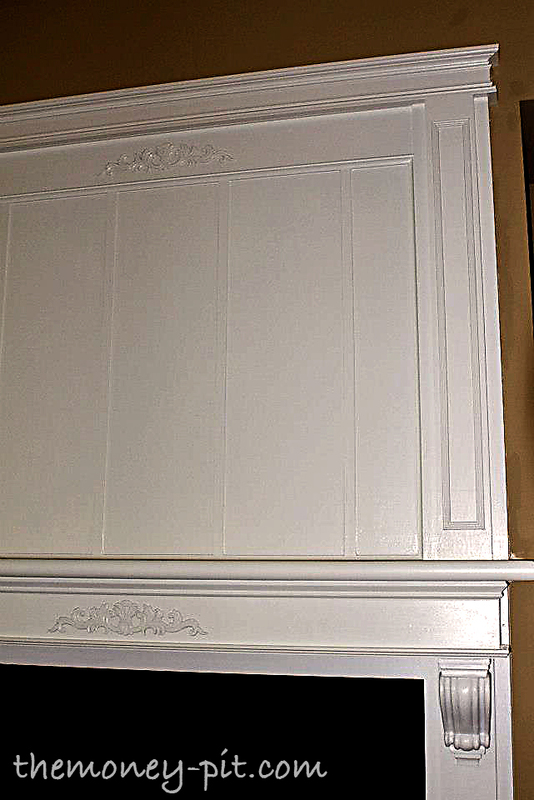 Once everything was painted you would never guess the entire mantle hadn't been that way all along. I am super impressed with how it came out. The details in it are amazing and I think it looks great. No more boring builder grade, that is for sure! 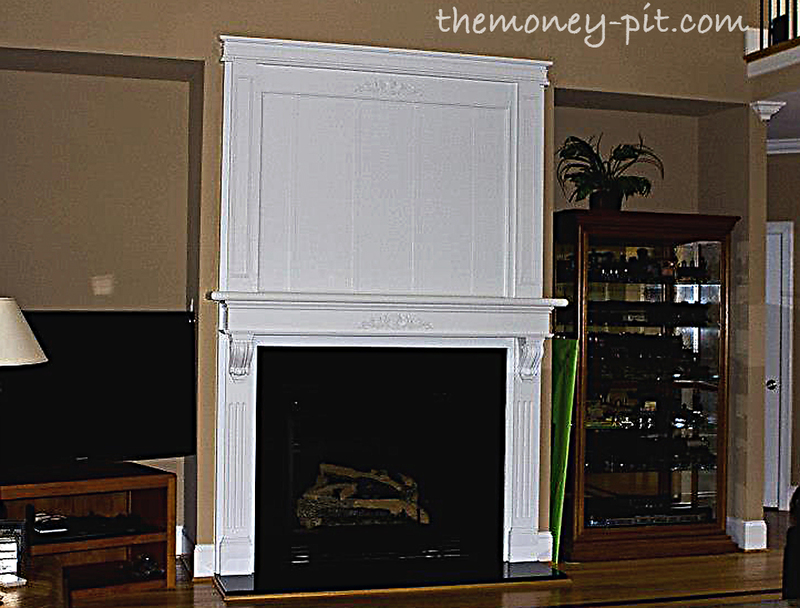 I am jealous of how beautiful it is.. image this mantle at Christmas! Nice job Kit! Beautiful! The possibilities are endless now, whatever she puts up there will look fabulous! that is absolutely beautiful! What a difference it makes. That looks gorgeous! What a difference! 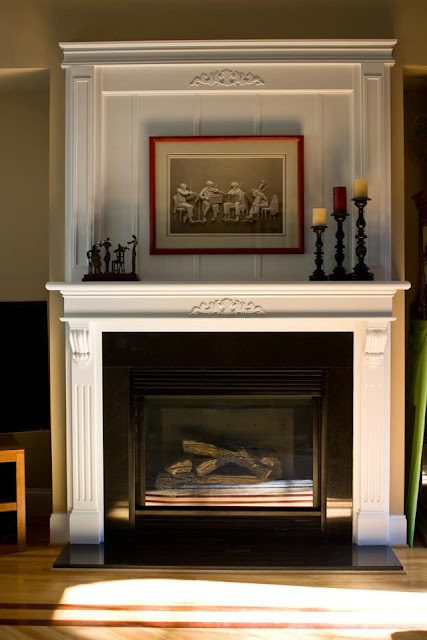 Wow - what a beautiful transformation - looks like it something out of an authentic tudor style home!